HMH Books for Young Readers, 9780544970397, 112pp. A high-stakes adventure series perfect for fans of the I Survived series and Hatchet. Twelve-year-old twins Ashley and Ryan are skiing with their parents in Wyoming's Grand Teton Mountains where there is a ground-shaking rumble. Unstable snow rushes downhill and buries them in icy white. It will take all of their knowledge and grit to survive. With seventeen years of hands-on experience and training in remote areas, survival expert Terry Lynn Johnson (Ice Dogs; Sled Dog School) creates on-the-edge-of-your-seat storytelling featuring the real skills that kids need to survive a disaster. 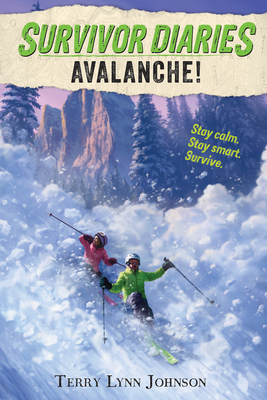 This page-turner with illustrations includes survival tips from the National Avalanche Center and U.S. Forest Service. You could have a better chance of surviving a real-life avalanche after reading this book!